Twitter users are trolling Trump Hotels over the new US President’s controversial ‘Muslim ban,’ by responding to a tweet posted by the company over five years ago with refugee stories. The trolling is part the continuing fallout over an executive order signed by Trump Friday, halting travel to the US for citizens of seven majority Muslim countries. An emergency stay which temporarily blocks deportations of people detained after arriving in the US with valid visas has since been granted by a federal judge. The ruling only applies, however, to those who were mid-flight or on US soil at the time the executive order was signed. 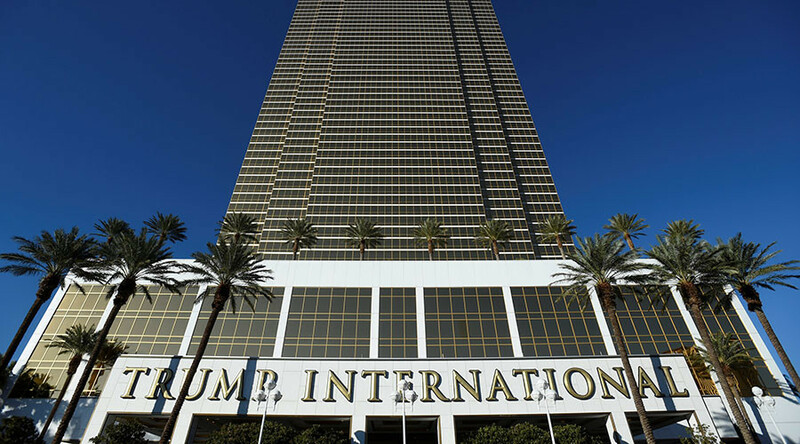 The backlash to the order has dominated social media this weekend, with some Twitter users digging out a five-year-old tweet from Trump Hotels which innocuously asked the public to share their favorite travel memory. The tweet did gain some interest when originally posted, but has been flooded with replies in the wake of Saturday’s airport detentions. Some people shared their fears over the current political climate, with one user posting an image he said showed his granted asylum status. Others shared stories and photos from relatives who were forced to flee fascist regimes before resettling in the US. Many netizens however were a lot more blunt in their response to the Trump Hotels tweet - literally giving the luxury hotel group the finger. Massive protests calling for Trump’s travel ban to be lifted took place across US airports Saturday and are set to continue Sunday.